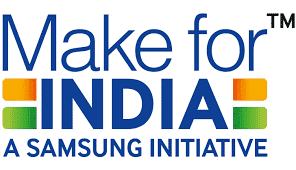 Samsung India Electronics today declared extension of its Noida plant with a venture of INR 1,970 crore, fortifying its dedication to ‘Make in India’ and ‘Make for India’. 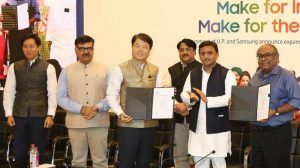 The Government of Uttar Pradesh affirmed the speculation by Samsung India Electronics under Super Mega A by the state’s Cabinet Committee in Lucknow today. 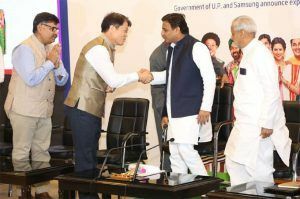 A Memorandum of Understanding was marked between Uttar Pradesh Chief Secretary, Shri Rahul Bhatnagar and Mr. HC Hong, President and CEO, Samsung India Electronics, within the sight of Honorable Chief Minister Shri Akhilesh Yadav. Samsung began its Noida plant in 1996 and keeps on giving front line innovation and improving encounters for clients crosswise over India from the Noida plant, with a vast biological system of suppliers in the National Capital Region. As a capable resident, Samsung is included in group advancement around the office at Noida and over the condition of Uttar Pradesh through commitments to training, expertise improvement and social insurance activities. In a trip that began in 1995, Samsung set new benchmarks in development drove assembling and purchaser promoting, and set up itself as a genuinely national brand. En route, it viably solidified its position in India with two manufacturing plants, three R&D focuses and an outline focus, utilizing more than 40,000 individuals and setting up the biggest deals and administration organize by any organization in the nation. By not just satisfying its dedication to ‘Make in India’, additionally living its guarantee of ‘Make for India’, Samsung has risen as a genuinely Indian organization on the most fundamental level. Samsung Electronics Co., Ltd. motivates the world and shapes the future with transformative thoughts and advances. The organization is reclassifying the universes of TVs, cell phones, wearable gadgets, tablets, cameras, advanced machines, printers, therapeutic hardware, arrange frameworks, and semiconductor and LED arrangements. For the most recent news, please visit the Samsung Newsroom at http://news.samsung.com/in.